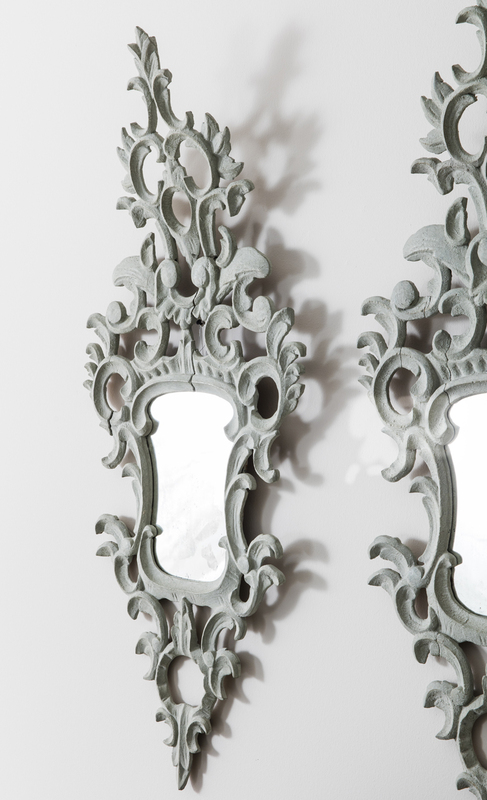 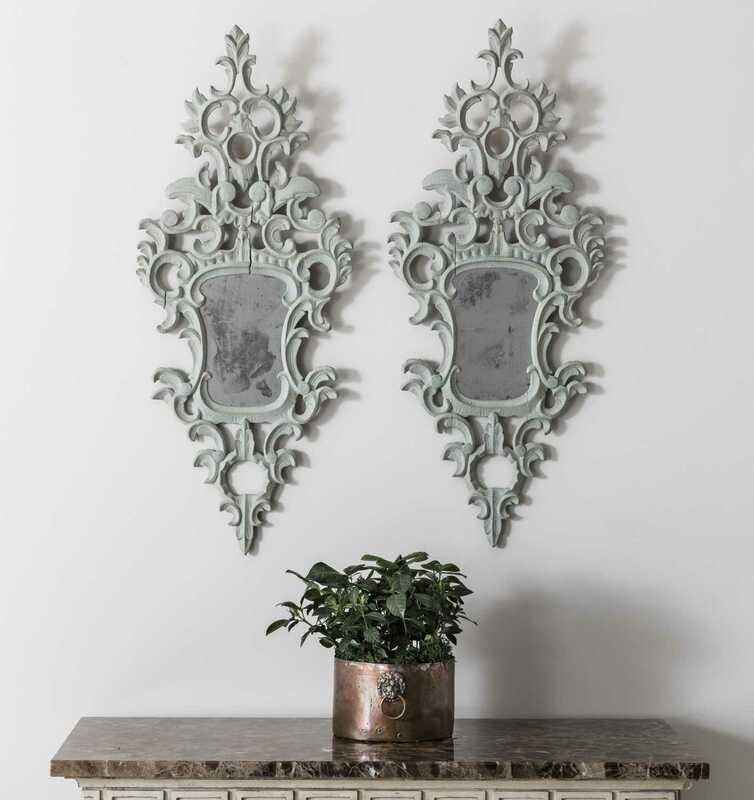 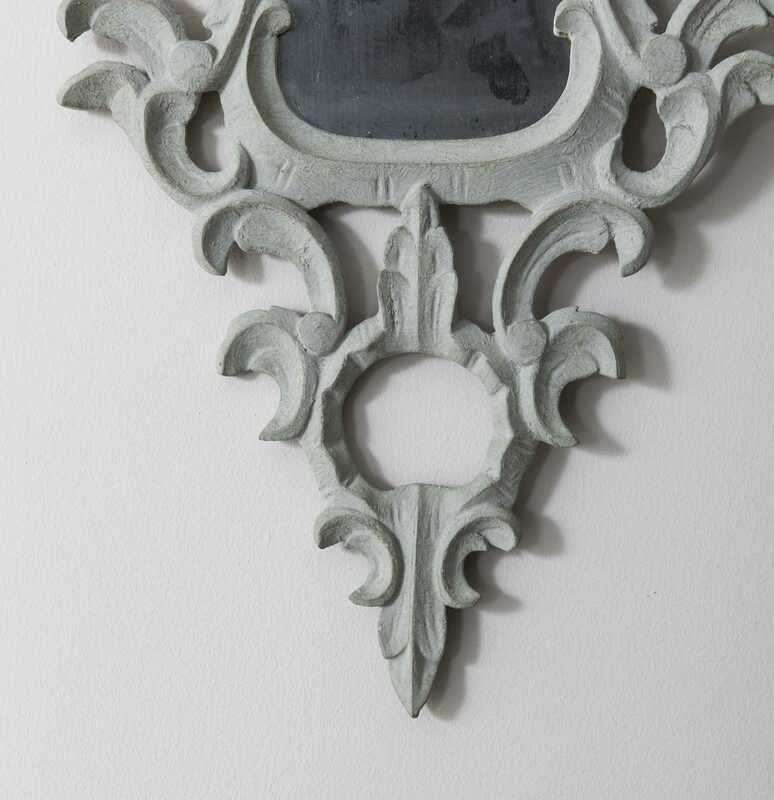 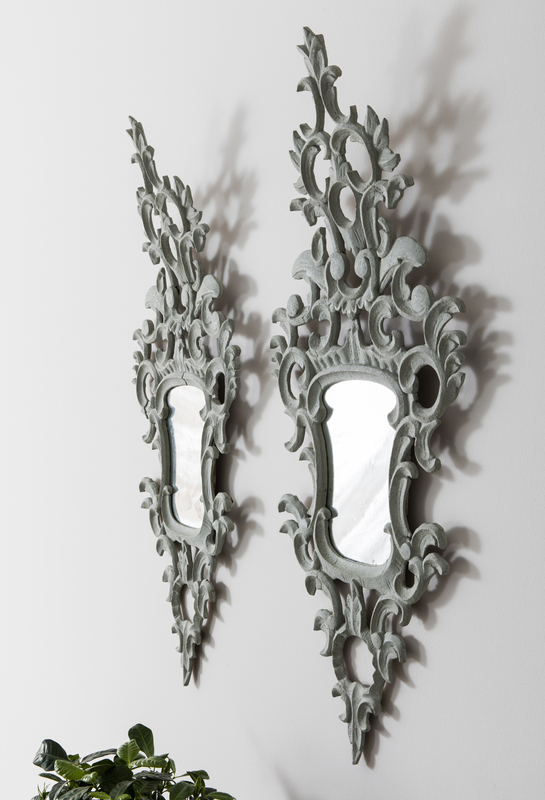 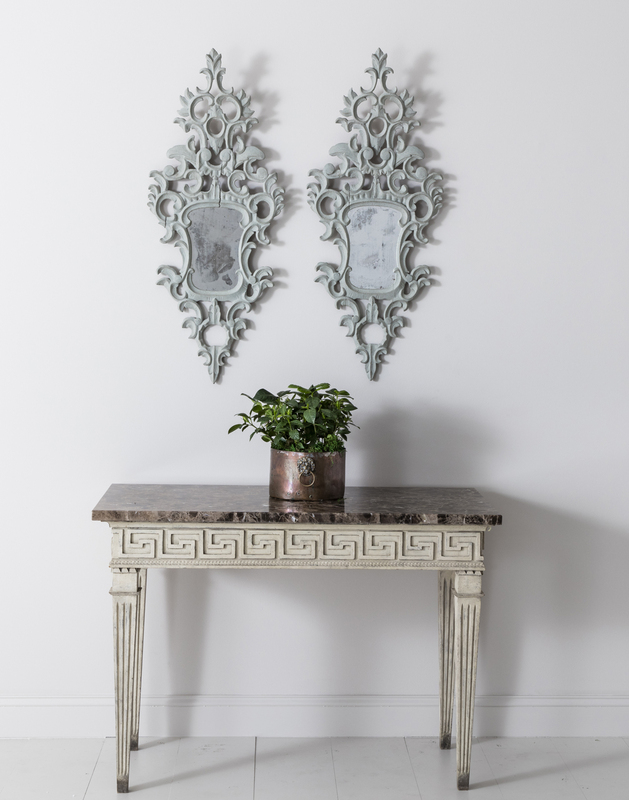 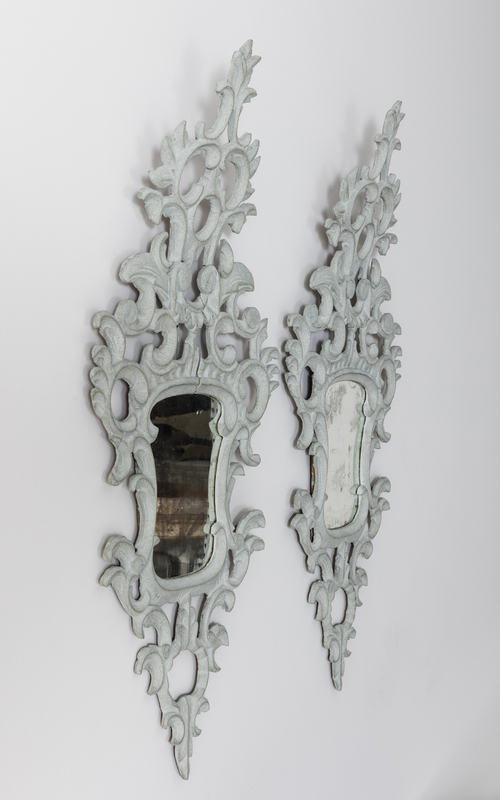 19th Century Pair of Italian Original Mirror Plate Painted Venetian Appliqués | Maison & Co.
A special pair of Venetian appliqués in the Baroque style with original mirror plate. 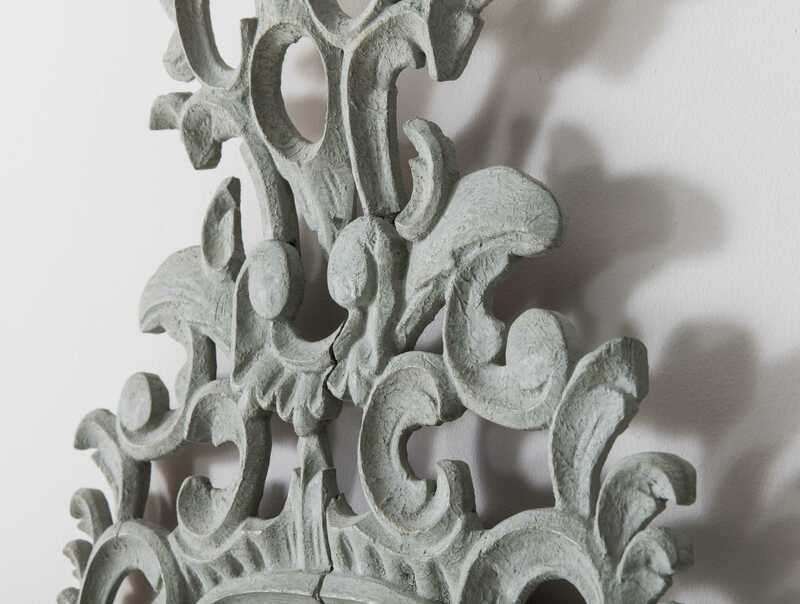 Later painted wood with delicate carvings. 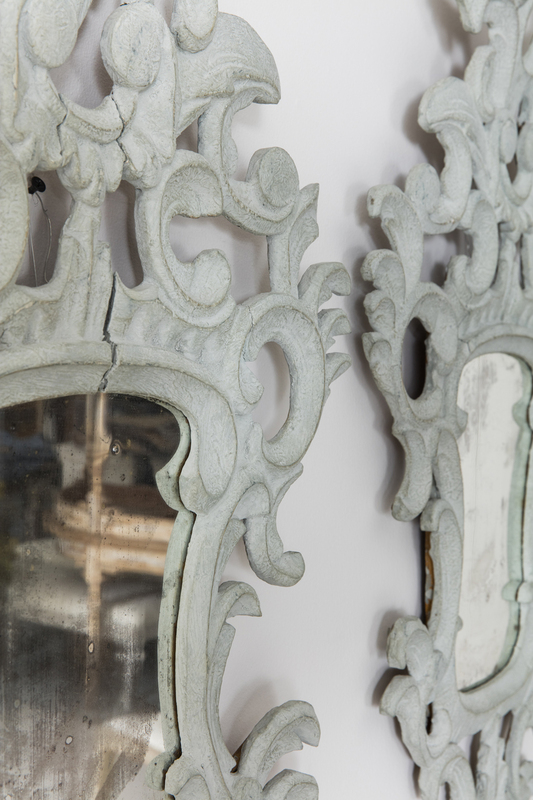 These mirrors were originally gilt, but painted over some time ago. 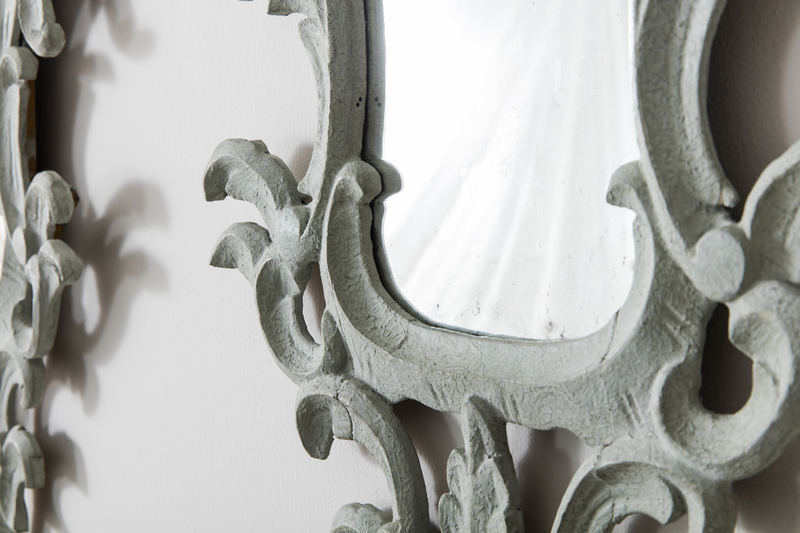 The color is a chalky French blue-gray. 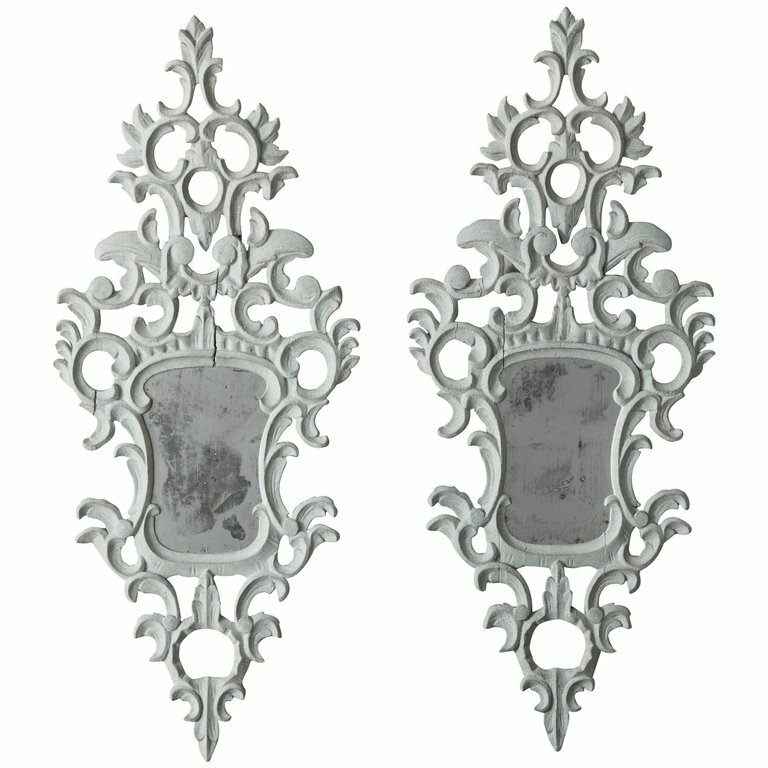 A Maison & Co. favorite.